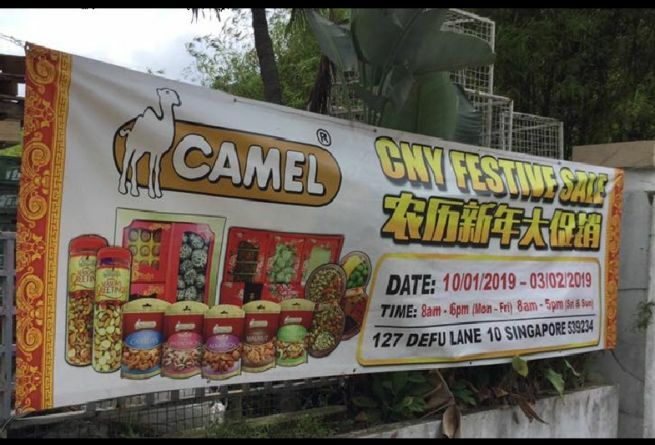 You are at:Home»Cuisines»CAMEL FESTIVE SALE, JUST IN TIME FOR CHINESE NEW YEAR! You can enjoy beer + nuts with your friends and family for this coming festive period! Camel is currently having a promotion in their warehouse at 127 Defu Lane! You can buy a bag of groundnuts for as low as $1 and dried fish snacks for $2. They have your favourite snacks, as well as food for all ages.